Set up a regular payment amount through PayPal. Your kind donations go towards helping to support the education of children in Jamaica. PayPal link update coming soon. Tuition fees per term per child (approx. US$45.00 / GBP£30.00). PayPal link update coming soon. Books per term per child (approx. US$17.00 / GBP£11.00). PayPal link update coming soon. Weekly lunch per term per child (approx. US$7.00 / GBP£4.00). PayPal link update coming soon. LGF themed T-shirt (approx. US$15.00 / GBP£10.00). PayPal link update coming soon. How did The Literary Genius Foundation start and why? The Literary Genius Foundation was created in 2011 when Rondeen McLean first returned to Jamaica after thirteen years of building a career in finance in the United States. Seeing how many opportunities her education had provided for her motivated Ms. McLean to use her skills to help Jamaican children achieve literacy and create new possibilities for their futures. How does The Literary Genius Foundation work to promote literacy? One of the most important things Ms. McLean learned in the process of establishing the Foundation is that true literacy can only be accomplished by getting both children and their families involved. Rather than teaching a few skills, The Literary Genius Foundation aims to nurture a true love of literacy in children who are at a crucial age in their mental development. 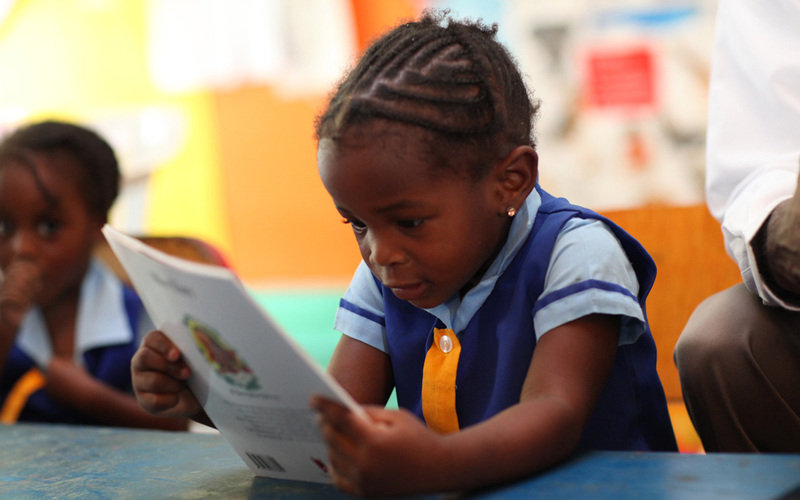 To achieve this lasting effect, The Literary Genius Foundation provides mentorship, engaging reading materials, and group story-reading sessions for children in underserved Jamaican communities. Who is involved in The Literary Genius Foundation? The Literary Genius Foundation involves children aged 3- 5 and their families, volunteers from the local communities, teachers, and entire schools. Together we organize book drives, mentorship pairings, and story-reading sessions, as well as educating parents on how to promote and celebrate literacy with their children. Can I get The Literary Genius Foundation involved at my school? The Literary Genius Foundation is always looking to increase our outreach. We aim serve elementary-school-aged children in underfunded public schools across Jamaica. Please contact literarygeniusfoundation@gmail.com to discuss how The Literary Genius Foundation can get involved in your community. Can I volunteer for The Literary Genius Foundation? Definitely! We are always looking for volunteers. Please contact literarygeniusfoundation@gmail.com to find out where the closest Literary Genius Foundation project is taking place and how you can help! How can I donate to The Literary Genius Foundation?